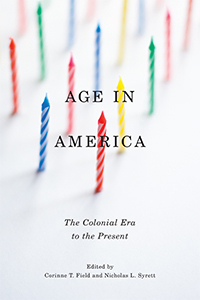 Age in America: Colonial Era to the Present (New York University Press, 2015). Eighteen. Twenty-one. Sixty-five. In America today, we recognize these numbers as key transitions in our lives—precise moments when our rights and opportunities change—when we become eligible to cast a vote, buy a drink, or enroll in Medicare.This volume brings together scholars of childhood, adulthood, and old age to explore how and why particular ages have come to define the rights and obligations of American citizens. The Struggle for Equal Adulthood: Gender, Race, Age, and the Fight for Citizenship in Antebellum America (Chapel Hill: University of North Carolina Press, 2014). In the fight for equality, early feminists often cited the infantilization of women and men of color as a method used to keep them out of power. 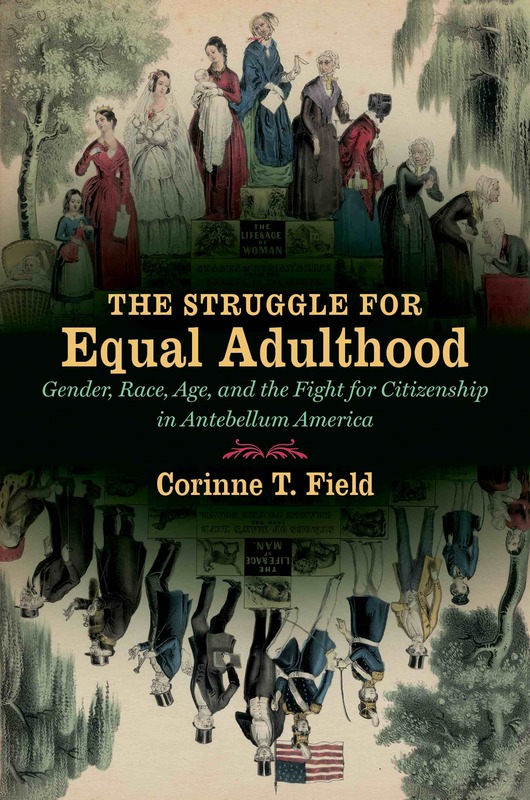 Corinne T. Field argues that attaining adulthood–and the associated political rights, economic opportunities, and sexual power that come with it–became a common goal for both white and African American feminists between the American Revolution and the Civil War. The idea that black men and all women were more like children than adult white men proved difficult to overcome, however, and continued to serve as a foundation for racial and sexual inequality for generations. In detailing the connections between the struggle for equality and concepts of adulthood, Field provides an essential historical context for understanding the dilemmas black and white women still face in America today, from “glass ceilings” and debates over welfare dependency to a culture obsessed with youth and beauty. Drawn from a fascinating past, this book tells the history of how maturity, gender, and race collided, and how those affected came together to fight against injustice.